You are gifted with natural leadership and the capacity to accumulate great wealth. You have great talent for management in all areas of life, especially in business and financial matters. You understand the material world; you intuitively know what makes virtually any enterprise work. You possess the ability to inspire people to join you in your quest, but often they are incapable of seeing what you see. Therefore, those around you need your continual guidance, inspiration, and encouragement. You must prod them into action and direct them along the lines of your vision. You attract financial success more than any other Life Path, but effort is required. Your challenge in life is to achieve a high degree of detachment, to understand that power and influence must be used for the benefit of mankind. Those born with the Number 8 Life Path who do not understand the real and relative value of money are bound to suffer the consequences of greed; they run the risk of losing it all! You must learn to bounce back from failures and defeats. You have the character and resilience of a true survivor. It is not uncommon for a person with an 8 Life Path to experience major reverses, including bankruptcies, financial failure, but you also have the talent and the sheer guts to make more than one fortune, and build many successful enterprises. More than most people, your failures in marriage can be extremely expensive for you. Despite the difficulties that life presents, you will experience the satisfaction that comes from material wealth and the power that comes with it. Business, finance, real estate, law, science (particularly history, archeology, and physics), publishing, and the management of large institutions are among the vocational fields that suit you best. You are naturally attracted to positions of influence and leadership - Politics, social work, and teaching are among the many other areas where your abilities can shine. You are a good judge of character, which aids you well in attracting the right people to you. Most 8s like large families and sometimes tend to keep others dependent longer than necessary. Although jovial in nature you are not demonstrative in showing your love and affection. The desire for luxury and comfort is especially strong in you. Status is very important. You must be careful to avoid living above your means. Your 8 Life Path treads that dangerous ground where power lies - and can corrupt. You may become too self important, arrogant, and domineering, thinking that your way is the only way. This leads inevitably to isolation and conflict. The people you run the risk of hurting most are those you love, your family and friends. Be careful of becoming stubborn, intolerant, overbearing, and impatient. These characteristics may be born early in the life of an 8 Life Path, who often learn these negative traits after suffering under a tyrannical parent or a family burdened by repressive religious or intellectual dogmas. Those with the 8 Life Path usually possess a strong physique, which is a symptom of their inherent strength and resiliency. 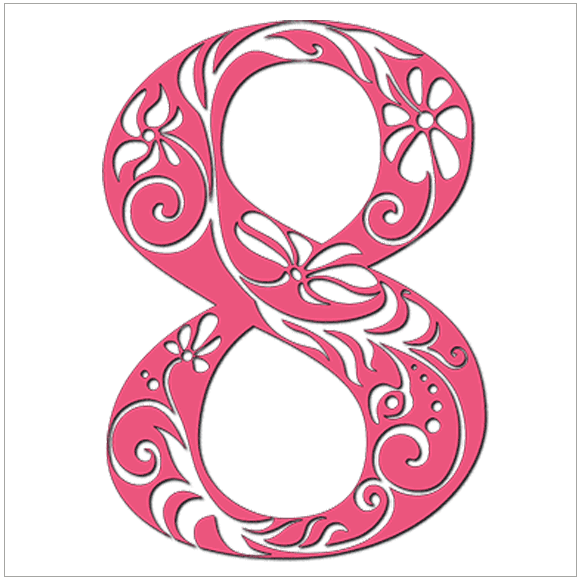 Go on to read about: Your Birth day number!